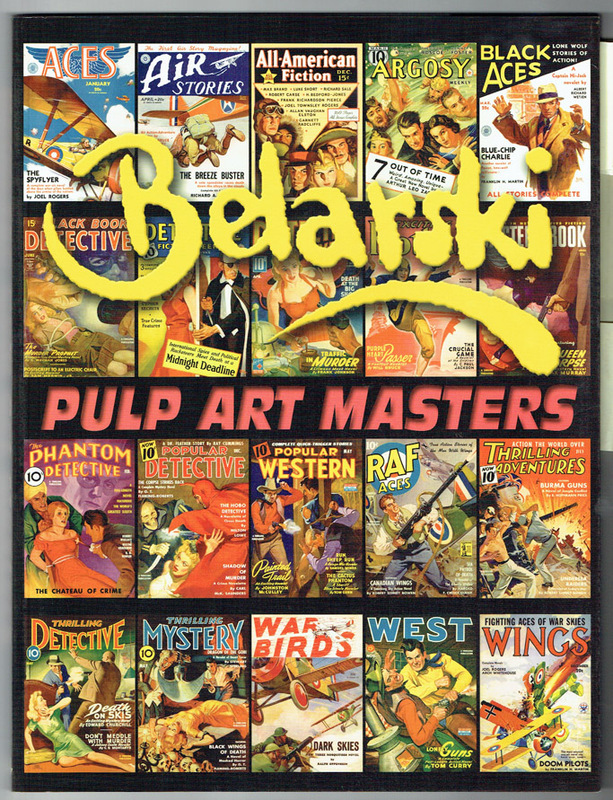 A collection of nearly 350 pulp covers by Belarski. 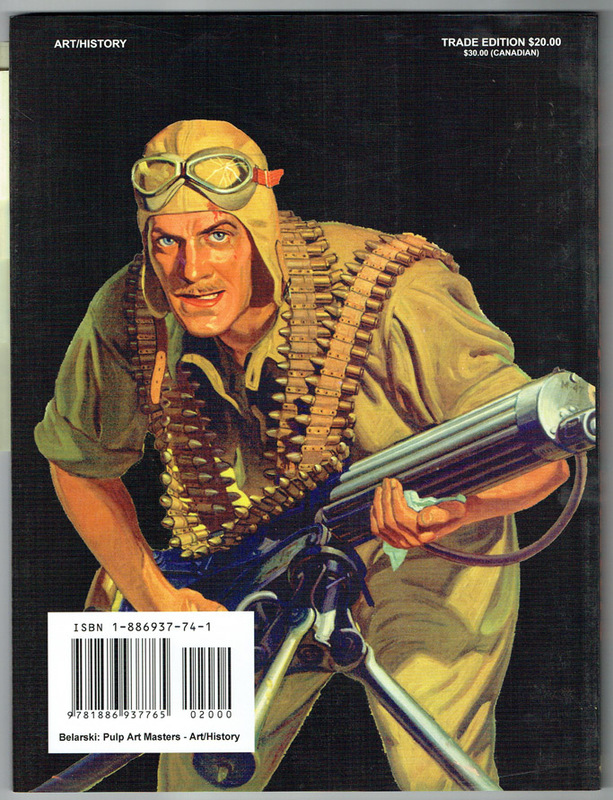 This book is from the estate of Dave Stevens (1955-2008) artist and creator of The Rocketeer. Dave had attached Post-It Notes to pages throughout and we have left those in place. They are removable without any damage to the book. A master at building suspense through figure, perspective, and color, Rudolph Belarski dazzled the newsstand browser with pictorial headlines of vital action scenes pertaining to the interior story. In doing so, he sold magazines and books to a drama-craving audience, and propelled publishing's mass markets, thus infiltrating American minds with the trends and fashions of pop culture. His remarkable versatility as an artist can be seen in the range of his published work in pulp magazines, his exciting paintings appearing on the covers of Thrilling Mystery, Wings, and War Birds, as well as The Phantom Detective, Mystery Book, Argosy, and Western Round-Up.